Michele D. Rach is an Associate in the Albertson office. Michele has focused her practice on the defense of school districts. These include claims for personal injuries, physical and sexual assaults, bullying, motor vehicle accidents and wrongful death. 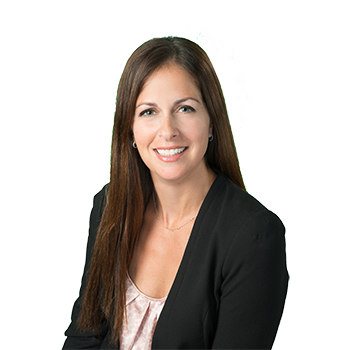 As a member of the Automobile Liability, Construction Site Accidents, Premise Liability, Products Liability, Property Damage and Toxic Tort and Environmental Practice Groups, Ms. Rach has a demonstrated ability to handle a wide range of cases through all phases. She also works closely with a number of senior trial attorneys within the Firm in high exposure matters. Ms. Rach is an avid runner and participates in the New York City Marathon.